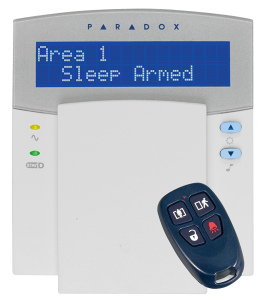 There are 3 main types of alarm systems available, wired, wireless and hybrid that combines wireless and wired components. Alarm systems may be configured to communicate with the monitoring centre via a landline telephone system, via a GSM wireless carrier or both for added redundancy. 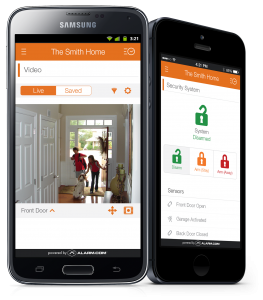 Operate your alarm system from your Android or iPhone. Check the system status, arm, disarm, check the recent activity, and receive email or text alerts whenever the system is armed, disarmed, or when an alarm is tripped. Combine with a surveillance system and you can view your cameras from the same device. Purchase your alarm system at the start. It will be professionally installed by our trained technicians. There is no locked in monitoring contract. Have your system monitored if and when you want. You are in the driver’s seat. If we want to keep you as a customer, we have to earn it. Pay no money up front. up front. We’ll adjust the monthly fees so that you pay for the system over time. Your alarm system will be professionally installed by our trained technicians. Monitoring service is required. We won’t try to fool you into thinking it’s a “free system”. We’re honest and up front in every way. We’ll custom design a payment plan to fit your needs and budget. 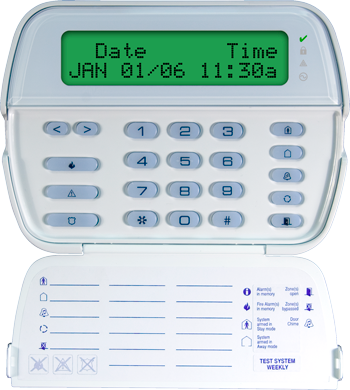 As always, your burglar alarm system will be professionally installed by our trained technicians. What Type of Alarm Systems Are There? The signals between devices travel over wires instead of through the air as radio frequencies which can be blocked. The only battery is the main control panel battery which is generally good for about 4 years. The equipment cost of wired systems is substantially less, but the labour cost is higher because wires have to be run and connected. With a visit to your premises, we can advise on which system would be most economical for you. Devices transmit RF (radio frequency) signals through the air to a receiver which forwards the signal to the main control panel. Sometimes the keypad is the main control panel or receiver. Wireless systems have improved greatly over the last few years and can be a good choice if wire running is not practical. The equipment cost of a wireless system is higher than a wired system because the devices have a transmitter built in and batteries. However, installation is quicker, saving on the labour cost. We have systems which can have a combination of wired and wireless devices. Run wires where possible and use wireless where you can’t reasonably run wires. This is generally the most economical way. How Do Burglar Alarm Systems Work? 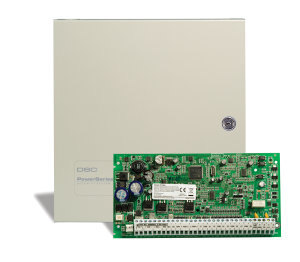 The heart of the alarm system and determines all the features of the system. 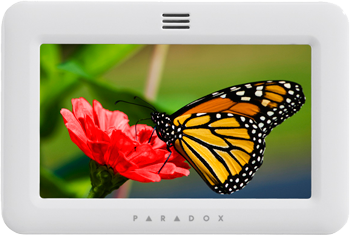 Each control panel can handle a certain number of zones (each door contact, motion detector, etc. are put on a separate zone). You can get systems from 6 right up to 128 zones. Any future expansions should be considered when choosing the control panel. It consists of a main circuit board inside a metal cabinet and is usually located in the basement or somewhere out of the way. You seldom need to access it. All devices in the system connect to this control. Keypads are what you use to arm and disarm the system. They also tell you the status of the system and each detector . You can get keypads with an LCD readout as shown in this picture and usually cost a little more, or they can have lights to show the status of the different devices, or zones. Keyfobs go on your keychain and are used to arm and disarm the system from inside or outside the building. Your system must have wireless capability for them to work. 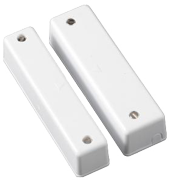 Door/Window Contact is a magnetic switch which is placed on doors or windows. When the switch and magnet are close together, the alarm system considers the door or window closed. When they separate, the door or window is open. When the system is armed, opening the door or window will trip the alarm. If a door which is designated as an entry/exit door is tripped, the keypad will sound to remind you to turn off the system before the entry delay expires. Failure to disarm the system within the designated entry time will result in an alarm. 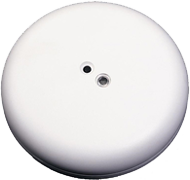 Motion detectors scan the room and see an intruder by detecting body heat. When a warm body moves into the path of a detector, there is a sharp and sudden contrast between the background (blue) and the body. Higher quality detectors have built-in processors which can distinguish between a small animal and a person by the amount of infrared energy (body heat) that is emitted. Glassbreak detectors have a built-in microphone which “hears” the sound of breaking glass. When a window is broken, the detectors picks up the sounds, analyses them, and trips the alarm if the sound is consistent with breaking glass. They typically have a direct-line-of-sight range of 20-25 feet depending on the acoustics of the room. This method of detecting a burglar is often used when there are pets in the home which will trip motion detectors. They allow you to have perimeter protection of the building with the freedom to walk around inside without setting off the alarm. They can provide an earlier detection of a break-in because they trip the alarm BEFORE the burglar enters the premises; thus they are often referred to as “pre-entry” alarms. Alarm systems can also be made to detect the presence of smoke, water on the floor, toxic gases, etc. 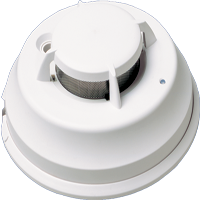 Smoke Alarms can be added to your security system to detect the presence of smoke and automatically notify the monitoring station – even when no one is in the premises to make a call. When an alarm is tripped, the siren makes a loud sound to hopefully scare the intruder off. Wireless Alarm Communicator (cellular back-up radio) is a device which can be added to your system as a back-up method of getting alarm signals to the monitoring station. Usually alarm signals are sent to the monitoring station via a phone line. However, because phone lines are not always reliable, you can also choose to add a cellular back-up radio which will send signals to the monitoring station if your phone line is cut or otherwise not working. This is highly recommended for a more secure system. 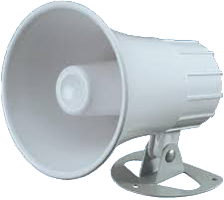 These units can also be your primary method of communicating to the monitoring station if you have no phone line on the premises. Hopefully the siren will scare the burglar away, but it doesn’t always work; and usually burglars don’t even have the courtesy to close the door after them when they do run out, leaving your premises vulnerable to others. It is important to have someone you know and trust notified in case of a break-in so they can investigate, or meet the police with a key at the premises so they can get in and check things out. 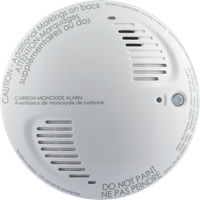 When an alarm trips, a signal is immediately sent to the monitoring station indicating that the alarm has been violated – and it even tells what area(s) have been entered. The monitoring station will then notify police, neighbours, relatives etc. in whatever order you have indicated. There is a monthly charge for monitoring services. It is an important part of your protection. Is a “Free” Burglar Alarm System Really Free? or Is It a Marketing Trap? The “free” system is a low-end, basic system and you should upgrade to a better system… for a “special” low price (only if you sign up now). There is a monthly fee for monitoring… with a multi-year locked-in contract that automatically renews. Oh, and that monthly fee has increases each year. All this is in the fine print of the contract which is barely large enough to read with a magnifying glass. leaving you the holes in the walls. The installing company sells your account to the large national company whose familiar name they used during the sales pitch. When a problem arises, the blame game ensues. If they didn’t get your money up front, they’ll get it later from the above average number of service calls you’ll need to repair your “basic” system… at above average service rates. At H & B Security Centre we don’t play these games. We’ll give you options and tell you up front what each option entails so you can make an informed decision. If we offer no cost up front, we won’t try and fool you into thinking you are getting a free system – we will simply be allowing you to pay for the system over time so that after the initial contract period you will own the system and not be locked-in. We are located in Kitchener, serving the Greater Kitchener Waterloo area, Cambridge, Guelph and all nearby towns for all their burglar alarm needs.